One of the side effects of having children is that you end up with bags and boxes full of broken crayons, crayons from restaurants, crayons from school year’s past. I really hate to throw away useful things and so, I had a shoe box full to the brim of crayons. With Halloween fast approaching, I finally figured out what to do with all of the discarded crayons. – silicon molds – generally these are ice cube trays. The Dollar Tree carries shaped molds for nearly every holiday. 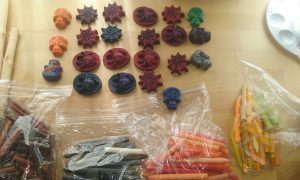 For this project, I have two molds – skulls and spiders and webs. Remove all the paper from the crayons. I’ve found that it is easiest to do this with a razor knife or box cutter. 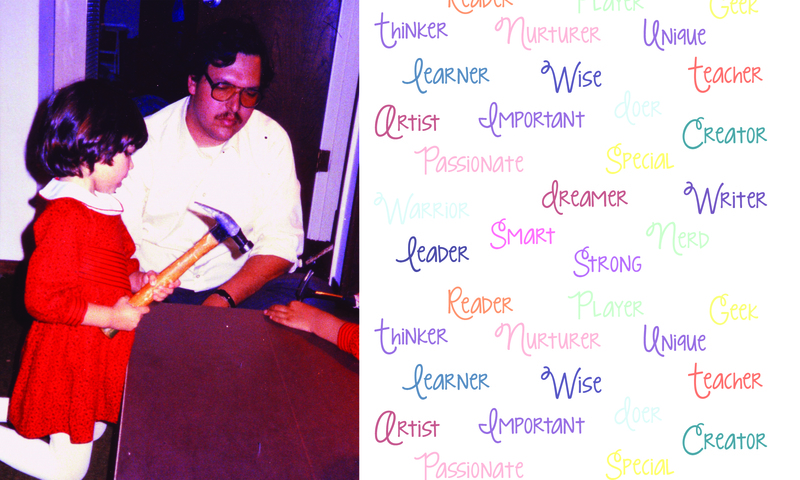 Break the crayons into pieces (I used a hammer for this). Put the crayon pieces in the jar in a pan of water and heat it to boiling. Keep watch over the process but it generally takes me 40 minutes to melt a half a cup of crayon pieces down. If you want to hasten the melt, you can stir it but that will result in no swirls in your final product. 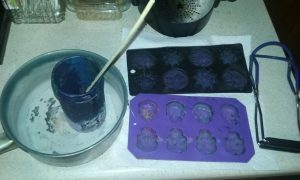 Using the canning tongs, lift the jar out of the water and carefully pour the melted wax into the molds, careful not to overfill them. 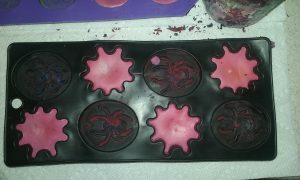 Allow to cool but remove from the molds while still slightly warm. I’m making these crayons for The Teal Pumpkin Project, so my house has something for kids who have allergies, sensitivities, or who are diabetic. Fortunately, my kids aren’t allergic to any foods but a lot of my friends have children who can’t eat sugar or nuts or milk. 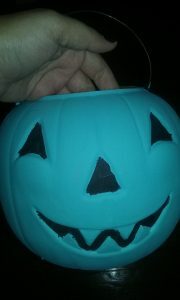 The Teal Pumpkin project ensures that all kids can have fun on Halloween. If you have a non-food option, place a teal pumpkin on your stoop so families know your house is an allergy friendly stop. Kids who stop at my house can have either candy or a set of Halloween crayons. Next PostNext Splat! Went the Purple Dye All Over My Bathroom Floor!